The UV properties of normal galaxies. II. The ``non-IUE'' data. In the last decade several satellite and balloon borne experiments havecollected a large number of ultraviolet fluxes of normal galaxiesmeasured through apertures of various sizes and shapes. We havehomogenized this data set by deriving scale corrections with respect toIUE. In a forthcoming paper these data will be used to derive standardluminosity profiles and total magnitudes. Reduction of spectral data obtained on the 1024-channel scanner of the 6 M telescope with a personal computer IBM PC AT. Results from a survey of the integrated spectra of 90 nearby galaxiesare presented. Intermediate- and low-resolution spectrophotometry overthe 3650-7000-A range is used to compile a spectral atlas of galaxiesand to investigate the systematic behavior of the emission-line spectrain normal and peculiar galaxies. The integrated absorption- andemission-line spectra show a smooth progression with Hubble type. Mostspiral and irregular galaxies exhibited detectable emission lines ofH-alpha forbidden O II, N II, S II, and sometimes H-beta and forbidden OIII. Methods for distinguishing between distant starburst galaxies andactive nuclei are discussed. The new data are used to examine thestatistical properties of the forbidden O II emission in galaxies and tocalibrate a mean relation between O II luminosity and the total starformation rate. The forbidden O II distribution for faint galaxies isvery similar to that which is observed for nearby Markarian galaxies. By use of the ANS ultraviolet fluxes, optical (UBV) and IRAS infraredfluxes, several color indices for a few Markarian galaxies have beeninvestigated. A comparison of these indices with those for normal NGCgalaxies has been carried out. Similarities and differences in theindices for the two groups of galaxies have been discussed and possiblecauses have been indicated. A set of identification charts is presented for UV-excess galaxiesdetected on multicolor plates for ten survey fields. The charts are partof the Kiso UV galaxy catalog (Takase and Miyauchi-Isobe, 1988). Thisset of charts brings the total number of objects in the catalog to 583,covering a 300-sq deg sky area down to a photographic magnitude of about18. The parameters presented include morphological classifications,image sizes, and degree of UV-excess. The paper presents simple models for the FIR emission from extended H IIregions and from cooler dust heated by the general interstellarradiation field. The models account for a realistic grain-sizedistribution including PAH molecules. In addition, the model explainsthe observed correlation between the FIR to optical luminosity ratio andthe 60-10 micron colors. A new optical luminosity function of Markarian galaxies is presentedwhich improves on earlier determinations. The importance of clusteringof Markarian galaxies is checked by applying an alternative methodproposed by Turner (1979) which allows the shape of the luminosityfunction to be derived for an arbitrary space distribution provided thatthe shape is the same in clusters and in the field. A fractionalbivariate function is constructed using IRAS data, and survival analysistechniques are used to exploit the information content of IR upperlimits. The resulting far-IR luminosity function is presented andcompared with previous estimates. Five-color area-integrated UV photometric results are given of 2.5 x 2.5arcmin fields in the galaxies M 31, M 33, M 81, M 101 and NGC 2403. Mostof these fields are centered on bright HII regions. The UV fluxesdetected are generally representative of OB associations. The data forthe nearby galaxies indicate radial gradients in brightness and colorwithin these galaxies. In addition, results are presented of a survey ofZwicky-type dwarf galaxies. The possible existence of a 1,000,000 cu Mpc volume, empty of galaxies,suggested by Kirshner, Oemler, Schechter, and Shectman (1981), is notconfirmed with the existing sample of Markarian galaxies. Of 113Markarian galaxies with redshifts in the region of sky surveyed byKirshner et al., 12 have redshifts that place them in the void. TheMarkarian galaxy sample also shows the redshift distribution that wouldbe expected for a homogeneous space density out to a redshift of 25,000km/s. This contribution gives the results of a statistical investigation of400 extragalactic nebulae for which Holetschek has determined totalvisual magnitudes. 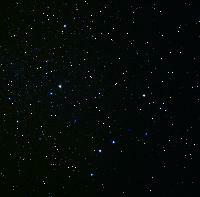 The list is complete for the brighter nebulae in thenorthern sky and is representative to 12.5 mag. or fainter. Theclassification employed is based on the forms of the photographicimages. About 3 per cent are irregular, but the remaining nebulae fallinto a sequence of type forms characterized by rotational symmetry aboutdominating nuclei. The sequence is composed of two sections, theelliptical nebulae and the spirals, which merge into each other.Luminosity relations. - The distribution of magnitudes appears to beuniform throughout the sequence. For each type or stage in the sequence,the total magnitudes are related to the logarithms of the maximumdiameters by the formula, mT = C - 5 log d, where C variesprogressively from type to type, indicating a variation in diameter fora given magnitude or vice versa. By applying corrections to C, thenebulae can be reduced to a standard type and then a single formulaexpresses the relation for all nebulae from the Magellanic Clouds to thefaintest that can be classified. When the minor diameter is used, thevalue of C is approximately constant throughout the entire sequence. Thecoefficient of log d corresponds with the inverse-square law, whichsuggests that the nebulae are all of the same order of absoluteluminosity and that apparent magnitudes are measures of distance. Thishypothesis is supported by similar results for the nuclear magnitudesand the magnitudes of the brightest stars involved, and by the smallrange in luminosities among nebulae whose distances are already known.Distances and absolute dimensions. - The mean absolute visual magnitude,as derived from the nebulae whose distances are known, is -15.2. Thestatistical expression for the distance in parsecs is then log D = 4.04+ 0.2 mT. where mT is the total apparentmagnitude. This leads to mean values for absolute dimensions at variousstages in the sequence of types. Masses appear to be of the order of2.6x108 Msun. Distribution and density of space. -To apparent magnitude about 16.7, corresponding to an exposure of onehour on fast plates with the 60-inch reflector, the numbers of nebulaeto various limits of total magnitude vary directly with the volumes ofspace represented by the limits. This indicates an approximately uniformdensity of space, of the order of one nebula per 1017 cubicparsecs or 1.5x10-31 in C.G.S. units. The correspondingradius of curvature of the finite universe of general relativity is ofthe order of 2.7x1010 parsecs, or about 600 times thedistance at which normal nebulae can be detected with the 100-inchreflector.